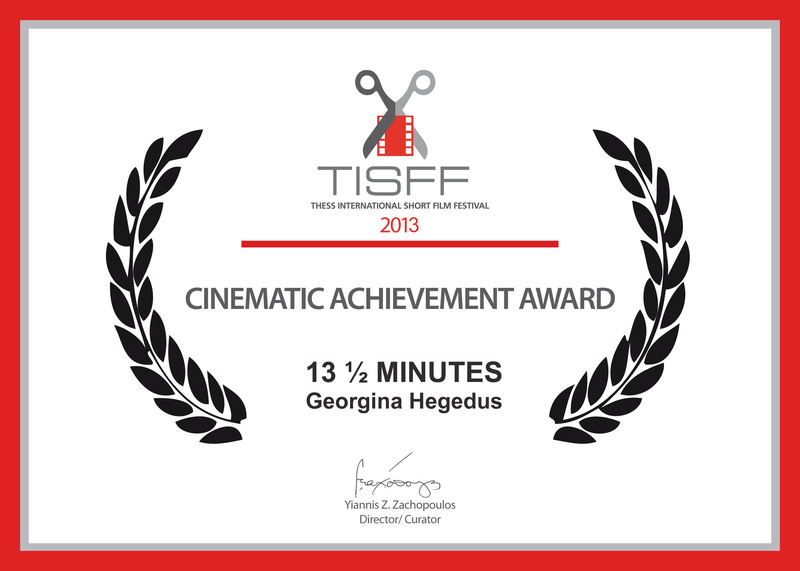 Hegedűs Georgina rövidfilmje, a 13 1/2 minutes kiérdemelte a “Cinematic Achievement Award” díjat a TiSFF-en. A bresti European Short Film Festival-ról is sok pozitív visszajelzés érkezett, ahol a filmet egy 800 fős, telt házas teremben vetítették. First of all, our warmest and sincerest congrats for your film ! 13 1/2 MINUTES, so beautifully done !!! As you can see, we do not believe in 1st, 2nd etc. prizes, just the really outstanding films of the whole festival, where we screened about 130 out of 600+ entries. We believe this is really the most fair way for all directors, they are the films and the directors worth remembering for years to come and watch their films again and again! A fesztivál honlapja és facebook csoportja.